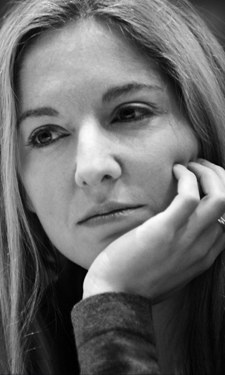 Victoria Coren Mitchell - Blog - Come Along To Only Connect! Come Along To Only Connect! Are you quite clever, good at lateral thinking, over 18 and UK-based? Then why not consider submitting a team to Only Connect? I know, I know: you might think that going on a TV quiz is not for you. I used to think that about hosting one. Then I did the pilot of Only Connect, fell in love with it and couldn’t stay away. It’s not like going on a big glitzy ITV game show. It’s a small, quiet, friendly enterprise. Our contestants are people who like doing crosswords, reading and listening to a bit of Radio 4. I think everyone who’s ever come along has had a great time: it’s a very warm, low-key, easy-going production team. Nobody ever looks like an idiot, for two reasons: one is that (if you submit a team) you get to do a little test, locally to where you live, and the team will tell you if you’re likely to do well on the show or if it isn’t for you. That’s a fun thing in itself, so a team submission isn’t even committing to going on the show, only to having a private go at it with the people who make the programme. And the other reason is that, if you do make it onto the show, you’re never alone - there’s no “in the spotlight” bit for any player; you’re always playing as a team of three and you can converse and consult throughout the first three rounds. So much modern television would have us believe that everyone not only wants to be on TV but wants to be on there with hair extensions and a fake tan, revealing all about their personal life. Only Connect is a bit of a counterweight, reminding us of all the people who are quite happy to turn up in a nice jumper to talk about history or Shakespeare or maths. It’s my favourite thing about the show, that smart and vanity-free vibe - so if you’re a bit squeamish about appearing on TV, then you’re probably perfect! You need a couple of like-minded friends, relatives or colleagues and some sort of connection between you (but you don’t have to all be traffic wardens, or all born in Sudbury or anything overly specific like that; there’s always a connection between any three people, so if you all like visiting museums or you’re all fans of Back To The Future, that’s connection enough for us). Good luck, and hope to see you in the spring! You make it sound like it’s really easy to get on the show! I know for fact that it isn’t. I imagine that in the Coren Mitchell household there’ll be a fight for the remote control at 8.30 on Monday night.. I am actually a big fan of “Back to the future” and that is all I can say about this post. Any reason there’s not a series champions’ playoff from the last 2 series? Loved the series final and you comment to the Lazlett’s was so apt - they are a real example and role model to other families of true working together. Not nearly clever enough, but never ever miss the show. Really nicely put Victoria-it’s a great show and you are a great presenter.Also it is nice to see like minded people on the telly-usually we are hidden.It really comes over how much you empathise with the participants. I have watched every broadcast of the show and loved it. But, the intelligence level of the contestants seems to be aimed at people with masters degrees as a minimum. If you don’t know your periodic tables from your 7 times tables - no need to apply.